Sara Cattaneo is an independent art producer living and working in Milan. She has a background in contemporary time-based art and an MA in Economics and Management of Arts. She has worked at the VIP office of miart - international fair of modern and contemporary art in Milan - and runned the Milano Artweek 2017, working closely with the many institutions and art spaces in town. She was involved in the productions of different art works and performances. Her work is focused on new media, with particular attention to public development and engagement in the field of contemporary art. Milan is famous for being an international capital of fashion and design, but in the last years it also became a reference point for contemporary art, the Milan’s art scene links its tradition with a new fresh art proposals. The large offer of the city includes museums, with a focus from the Futurist movement to the 70s, more than one hundred galleries, as well as a plenty of no profit spaces that propose the work of young artists and some prestigious art foundations, like Fondazione Prada, Fondazione Trussardi and Hangar Bicocca. It also hosts internationally important art fairs, such as miart. Milan is a unique blend of European and Italian culture, a place where you can enjoy a great espresso before an equally beautiful exhibition. In her tour, Sara offers a curated look into Milan’s contemporary art scene, between artists’ studios, established galleries and unique non-profit art spaces. It is also possible to book a private tour to all city foundations and during the period of the miart fair private fair tours are available. This beautiful library is located inside the concept store Corso Como 10, a fashion shop for emerging designers, which also hosts a cafè, a restaurant, the art gallery of Carla Sozzani and a rooftop with an amazing view on the skyline of the city. The Hangar Bicocca is considered the most innovative art space in town; this foundation is located in an old trains factory in the recently regenerated area of Bicocca, north of Milan. The vast rooms and high ceilings always welcome the public with impressive settings and site-specific exhibition. It is located on the rooftop of the La Triennale, the Design Museum of Milan; the place is an amazing locatoin both for having a coffe or tasting the Michelin starred dishes of chef Stefano Cerveni with an amazing view of Sempione park and his castel. 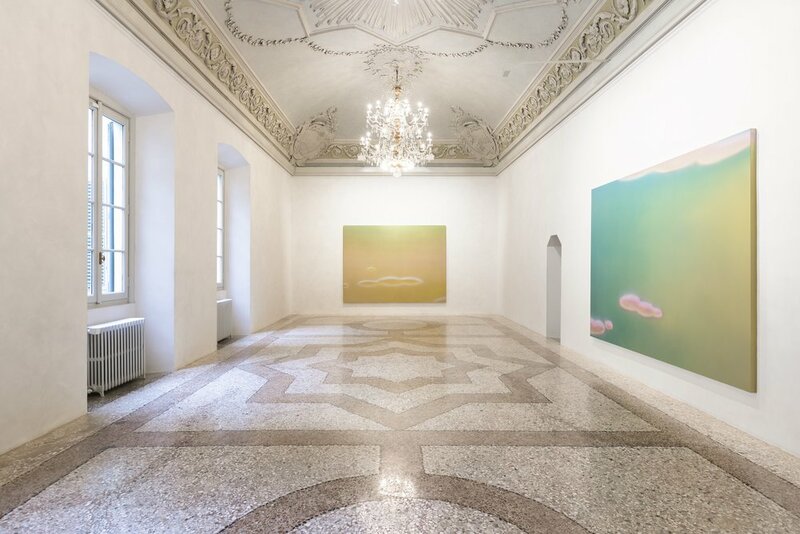 The historical venue of Palazzo Belgioioso hosts the new exhibition space of Massimo De Carlo gallery, that was founded in Milan in 1987. The gallery proposes high-level exhibitions of the most interesting interpreters of the contemporary scene. This bar, which interprets the Futurist easthetic, is located in the central district of Porta Romana and offer a sophisticated selection of drinks to accompany one pf the best aperitif in town.